Wat do our guests say? Welcome at Albert en Hennie Huisman’s place “Anja Hoeve”. “Anja Hoeve” is an authentic and original Texel farm. Built in the 1740s it has a vestibule and a large thatched farmhouse at the rear. There are four apartments in this main farmhouse, each at a corner. A large garden encloses the building with a general terrace, swings & slide, sandbox and henhouse “Villa Kakelbont”. In front there is a small meadow. Bo and Bo, our goats, are staying there. The apartments and bungalow are nice, comfortably decorated and fully-equipped. They all have their own feature colour red, green, blue and yellow. The bungalow’s called Sonja and in our farmhouse Texels Stroodak there there are two apartments called Heem & Hof. The accommodations all have an open kitchen and a luxurious bathroom. Our farm is quietly situated at the Westerweg, which is the main road between villages Den Hoorn and Den Burg. It is about 3 kilometres away from both villages. (Turn off at the Pontweg exit 8). Den Burg is the lively centre of the isle of Texel. There are lovely shops and lots of nice terraces. Each Monday morning there is a market. 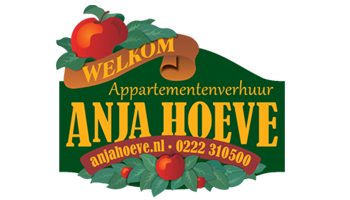 The first owner or occupant of “Anja Hoeve” we know of dates back to 1742. This was Pieter Arisz Eelman (1710 – 1788). He was married to Jacobsd. Visser (Farm Valkenburgh 1710 – 1782). Besides having horse and cart Pieter, who was a farmer, could afford a gig. And Cornelisje, his wife, had a maid for her three children. Good news to report for those people who are ready to make there vacation plans 2020 final. Our availability calendar is updated, and the on-line booking module trimmed, there can therefore be reserved for 2020. You will receive after the booking a pre-confirmation from us. We have to make a for-because subject to 2020, the tourist tax 2020 has yet to be established by the municipality of Texel (June 2019 known). You will receive the final confirmation once the tourist tax 2020 is known.